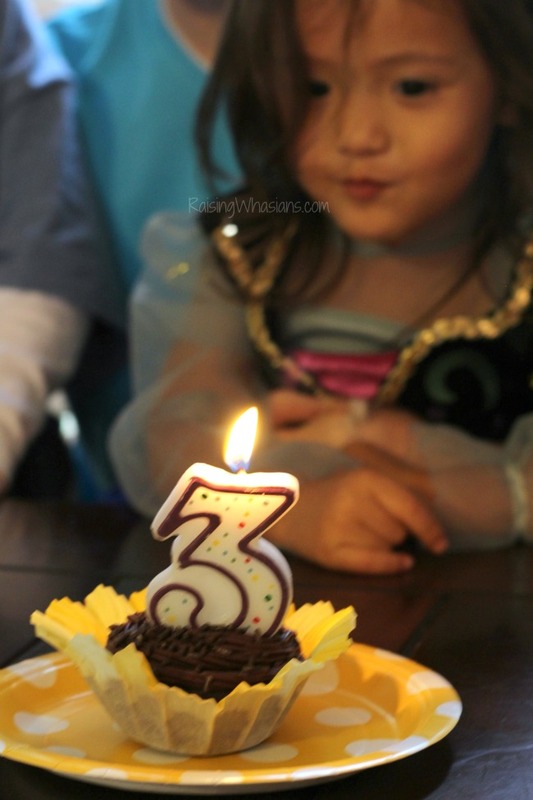 So excited to share my daughter’s DIY Frozen Fever Party for her 3rd birthday. 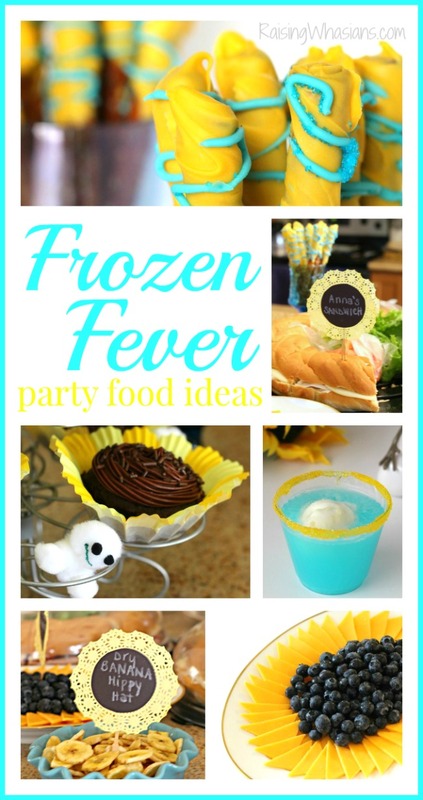 Get all of your Frozen Fever Party ideas here! Food, decor, inspiration and more! May contain affiliate links. “I’ve got big plans. I’ve got surprises for today!” Ok, maybe it’s not that big of a surprise. 3 posts already up, you knew this was coming. My DIY Frozen Fever Party, the crowning jewel to my daughter’s 3rd birthday has royally arrived. 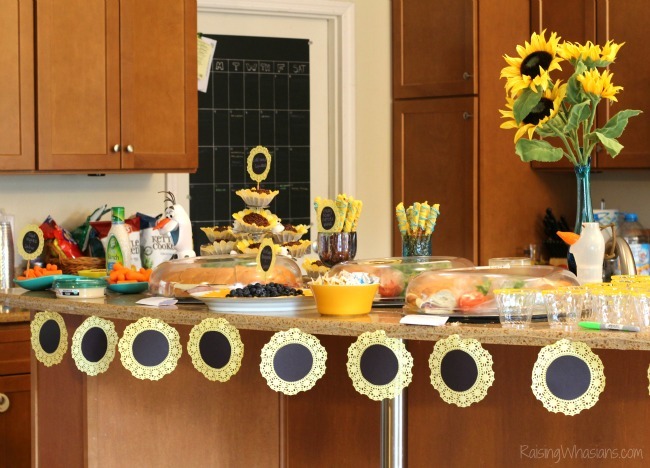 I am so excited to share my budget friendly ideas including decor, party food, activities and more that lead to the party’s HUGE success for kids and grownups! Come check out all of the fun, smiles and grab your Frozen Fever Birthday Party inspiration, perfect for a princess party on a budget. I’ve worked for weeks days hours for a last minute party for my daughter’s 3rd birthday. I know, you can slap my wrist later. But with the hurricane of a holiday season this year, January crept up on me like an unexpected zit. So with not a lot of time and a shrunken budget thanks to Christmas, I was determined to create a party that would be just as special and magical for my little princess. And I have to say, it was one of the most successful parties to date. 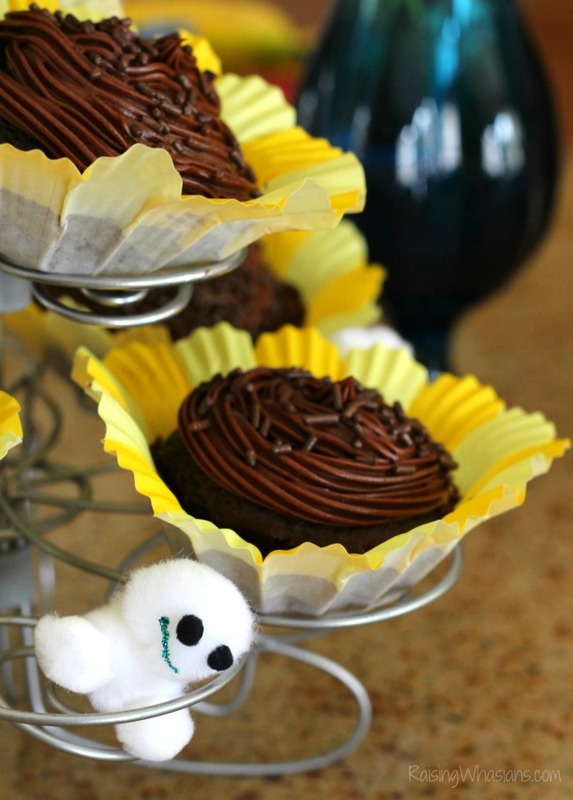 No stress, very little day-of prep and lots of great Disney inspired party ideas. I always say that a fun party begins with a signature drink. And this signature drink has Frozen Fever all over it! This Frozen Fever Punch is full of colors, flavors and fun! 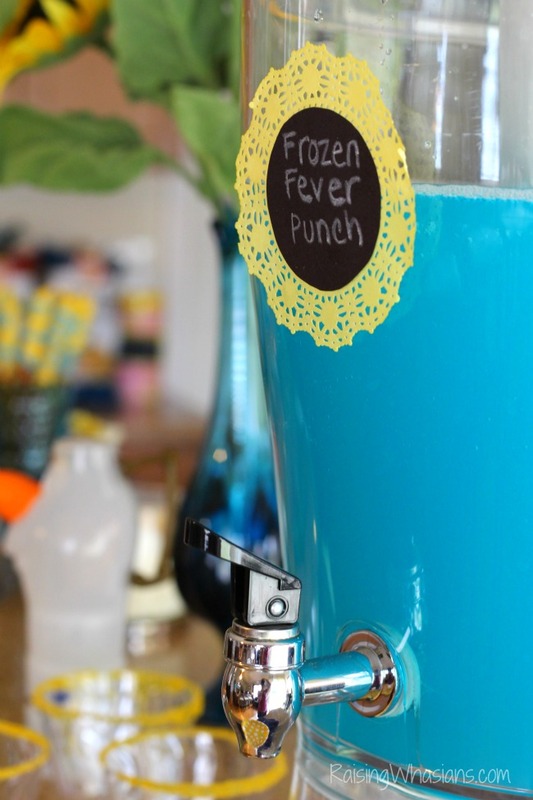 Get the Frozen Fever Party Punch Recipe to make this easy Frozen Fever inspired drink! Add a drink station with dispenser, cups and ice cream scoop and guests will really enjoy making their own drinks all party long. How do we keep the kids occupied at a Frozen Fever party? We build snowmen, of course! But not just snowmen, Snowgies were the star of this party. 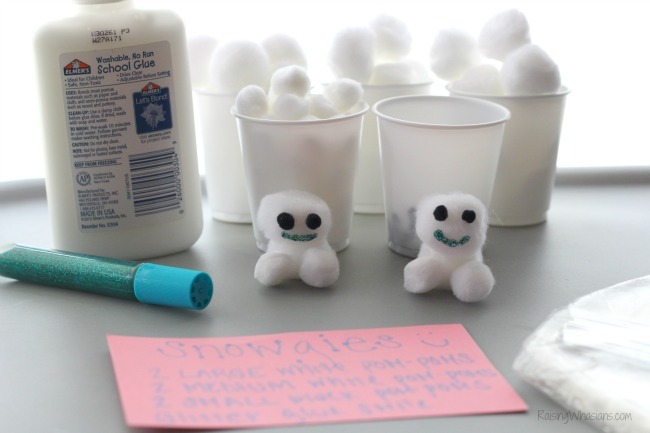 Grab the Snowgies Craft Tutorial for all of the adorable details! I set up a fun Snowgies craft station at a corner of the room. Directions, a few examples and cups of supplies were all ready for kids (and adults) to engage in a little creativity. I even had some clear goody bags ready for people to take their works of art home! I knew I wasn’t going to be able to afford to stock up on licensed Disney Frozen Fever party supplies. So I made this inspired Sunflower Party Banner instead. Only a few dollars made this banner a great addition to our festive theme. 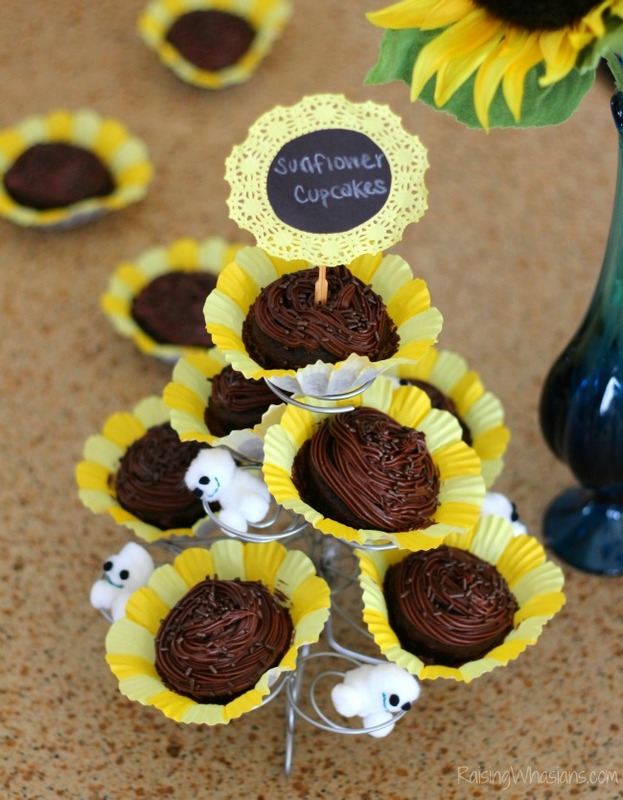 I saw these adorable Wilton Sunflower Cupcake liners on clearance at Michael’s (similar ones HERE and HERE) and knew right away I was making cupcakes for the party. Saving money right away on making a cake, I didn’t need to be a world class baker to make these cupcakes shine! Chocolate cake mix, chocolate frosting, and even a few chocolate sprinkles added a great touch. Layered high on a cupcake stand, I love how these cupcakes served as decor as well. Be warned the cupcake liners are larger than the usual cupcake stand holder, so I added a few Snowgies as a playful touch. I think the improvisation turned out just fine. 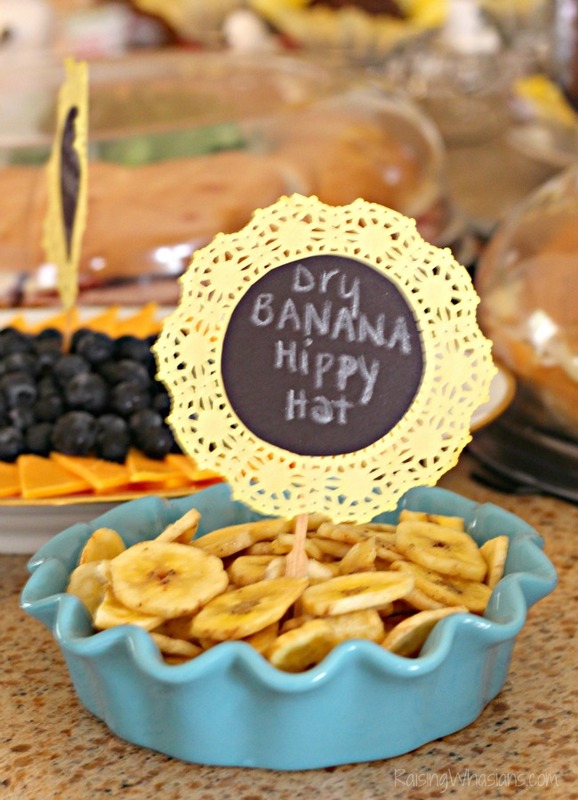 Dry Banana Hippy Hat – The BEST phrase of the Disney short, I knew I had to bring in the smiles with a great food idea. Good thing it’s right in the name, dry bananas! So these banana chips added a great allergy-friendly snack to the party. And hey, no work! 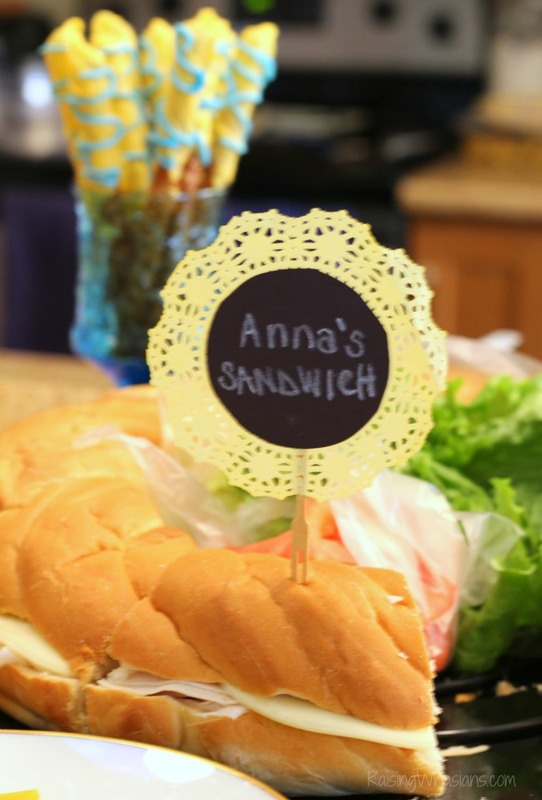 Anna’s Sandwiches – It’s her favorite food, after all. Sandwiches were only fitting for the party’s main course. I think Anna would approve. Olaf Noses – Anyone for a snowman nose? 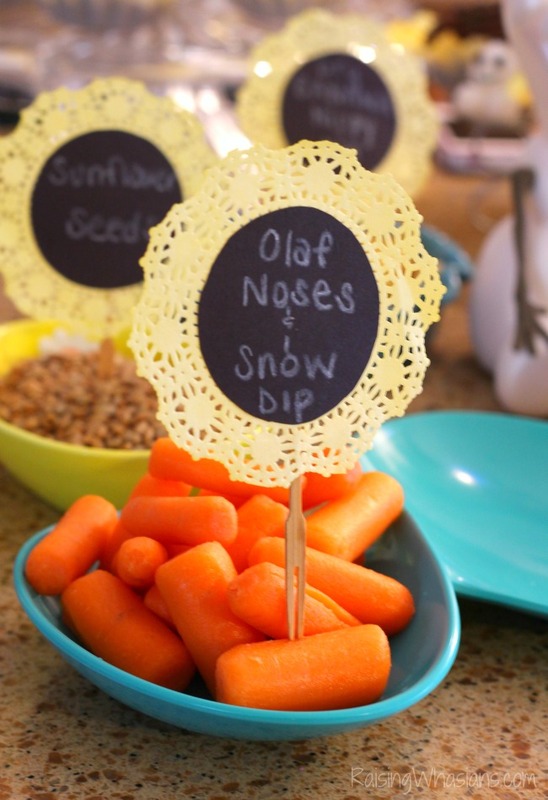 These baby carrots make a great veggie option for a party, even the kids can’t resist! 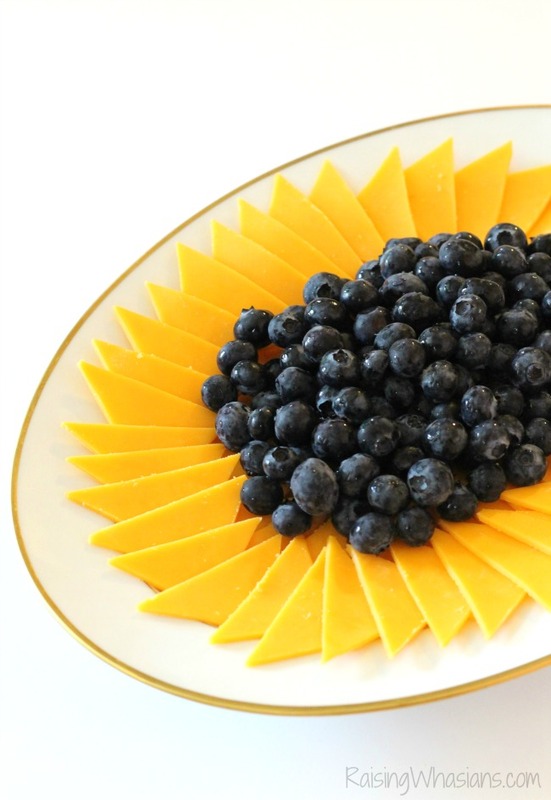 Sunflower Cheese Plate – Isn’t the plate gorgeous? Using triangle wedges of cheddar cheese, I shaped these sunflower petals into an oval shape. Then I piled on the fresh blueberries for the sunflower center. I have to say, the cheese and blueberries were a perfect food combo! Frozen Fever Pretzel Wands – Sweet & Salty come together for these adorable Frozen Fever inspired Pretzel Wands. 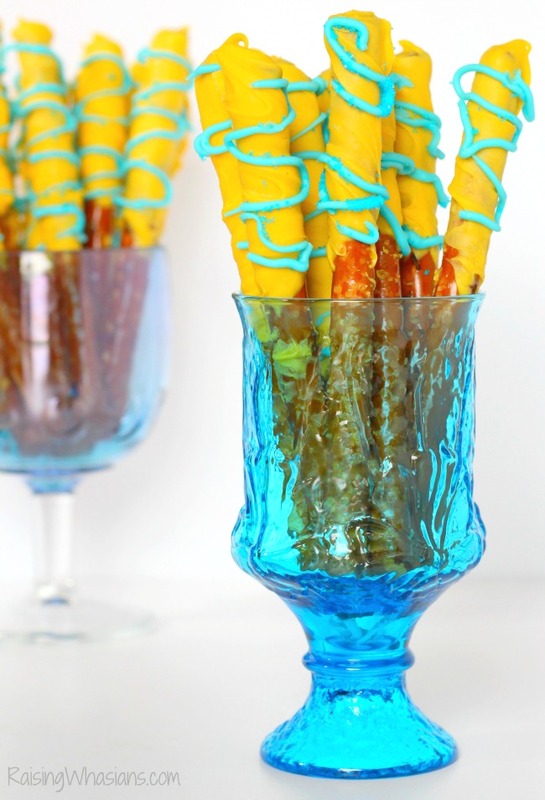 Using blue and yellow candy melts, We dipped and drizzled over long pretzel sticks. Add some blue sugar sprinkles for a little “magic touch” and you have a perfect Frozen Fever wand, so easy! 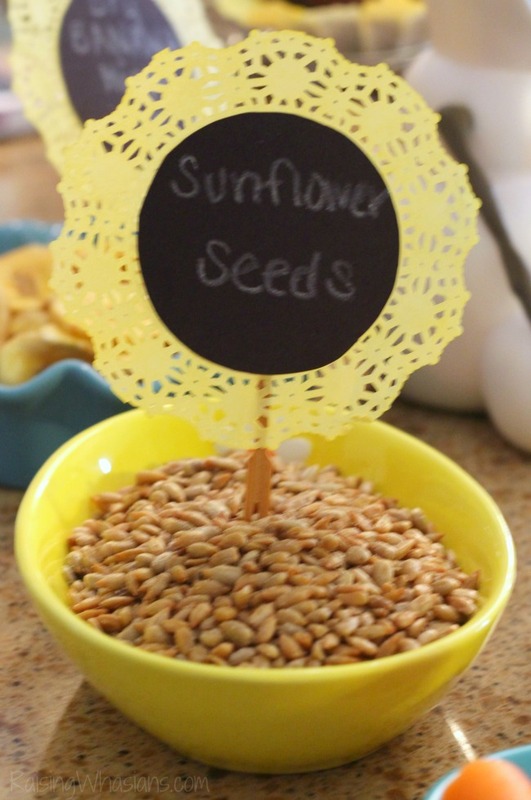 Sunflower Seeds – A great idea for casual party snacking, I took a little inspiration from those beloved Frozen Fever sunflowers! YUM! Frozen Fever Party Mix – While I was sad this didn’t make the menu (I told you I only had hours of planning! 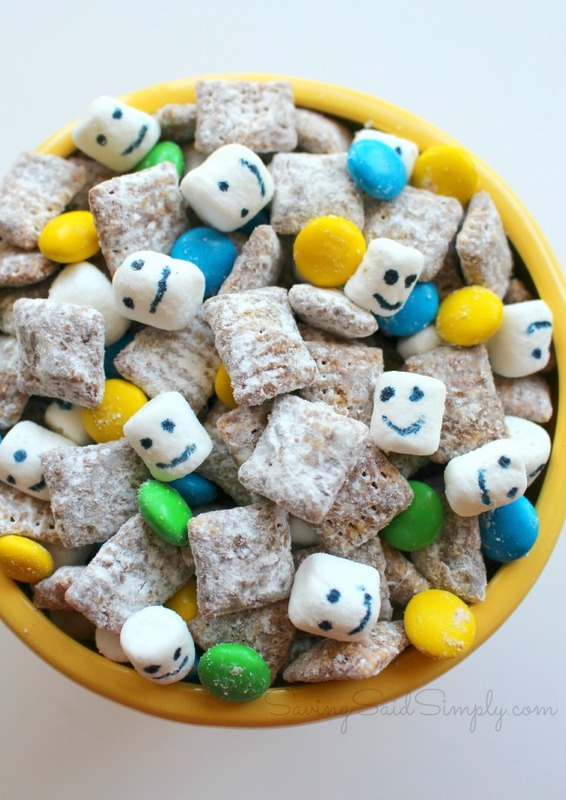 ), this Frozen Fever Chex Party Mix would have been AMAZING for our birthday party. I hope you’ll get to make this one for yours! Using the same dye method from the Frozen Fever Banner, I made small doilies into cute Frozen Fever food labels, so everyone knew what goodies they were eating. I used white crayon (white markers would have been great too) to write on the labels. 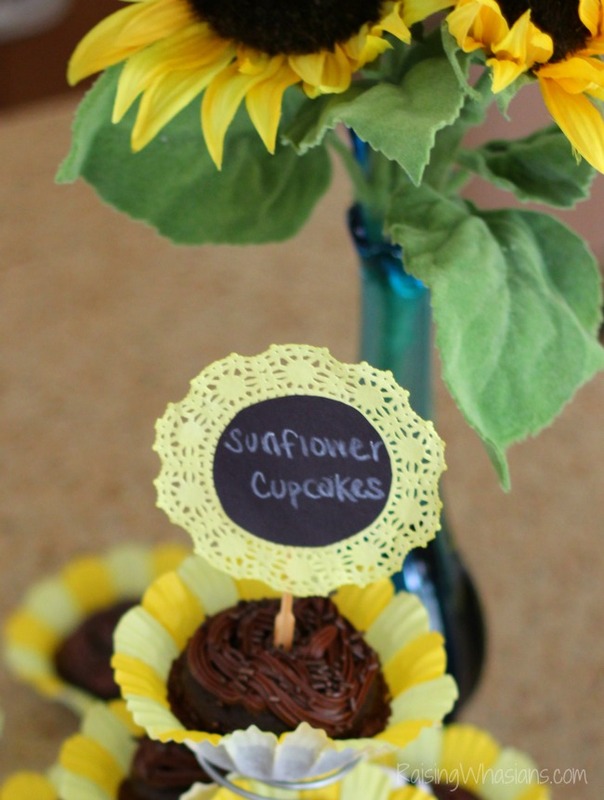 Then I taped the sunflower labels onto toothpicks and inserted into the food (I also taped onto the drink dispenser). And no Frozen Fever party is complete without the guest of honor. 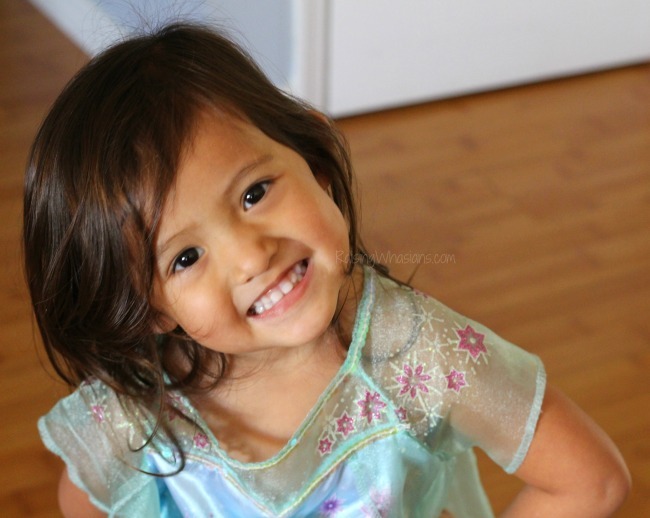 My beautiful toddler turned 3, adorned in a new Frozen Fever Elsa dress. She crafted, she ate, she laughed, she smiled, she twirled all day long. It was a wonderful party, one of the best so far. I am so happy that I was able to take a little bit of time to show my girl how much she is LOVED. There you have it! With only a few hours of planning and a little creativity, we had a wonderful 3rd birthday party, inspired by Disney’s Frozen Fever. If you love my party ideas, please see my other popular parties for more budget friendly ideas. Who would love a Frozen Fever inspired party? What is your favorite part of the party? Be sure to follow Raising Whasians via Facebook, Twitter, Google, Instagram, Pinterest and YouTube for DIY party ideas, kids crafts, recipes & more! How fun! Both of my nieces are SO into Frozen and I think their party will be Frozen themed when their birthday comes up in June! I love the punch and the sunflower cheese tray! They both look amazing!! It is perfect for my kids because they love frozen, but have a summer birthday! oh, how fun! That party turned out really cute! Thank you for the tips! Omgosh this turned out so super adorable!! My son loves frozen fever and would’ve had a blast at this party!! I love that you had them make the little snowmen and the punch look delish!! I can’t believe after two years this movie is still one of the most popular movies out there. 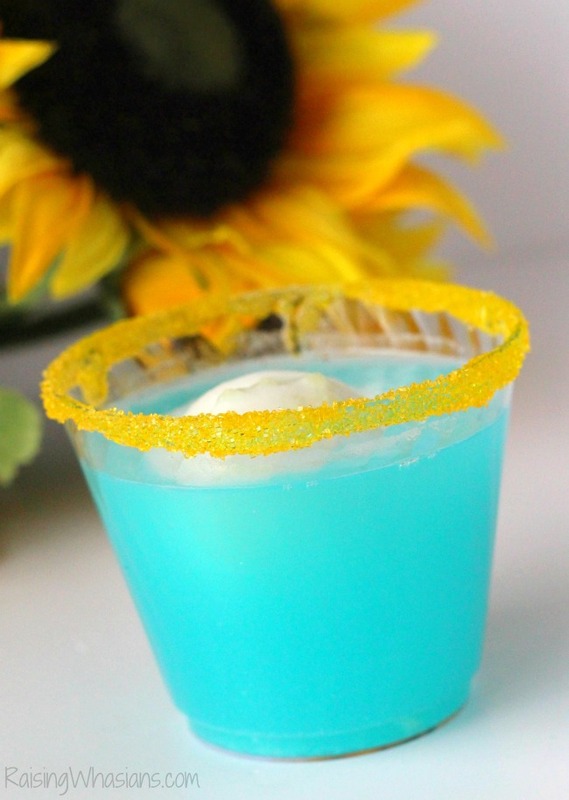 Frozen is a great party theme I must try that drink looks good. Cutest party ever! I love all the little touches from the snowmen to the sunflower crafts. Beautiful. What an adorable party to throw! I really like those cupcake liners! 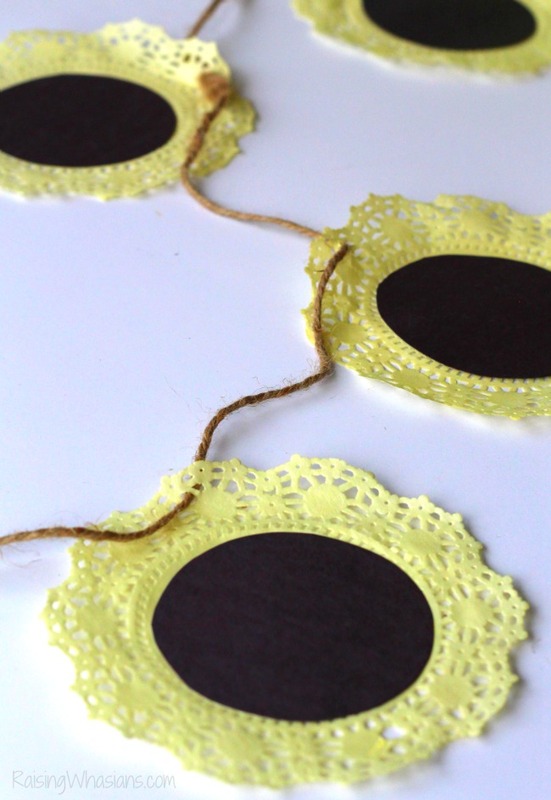 I wonder if you could use coffee filters and dye them to match? Thank you for sharing! I’ve watched Frozen Fever and it was really fun. I think your party ideas are totally awesome! Thanks for sharing! 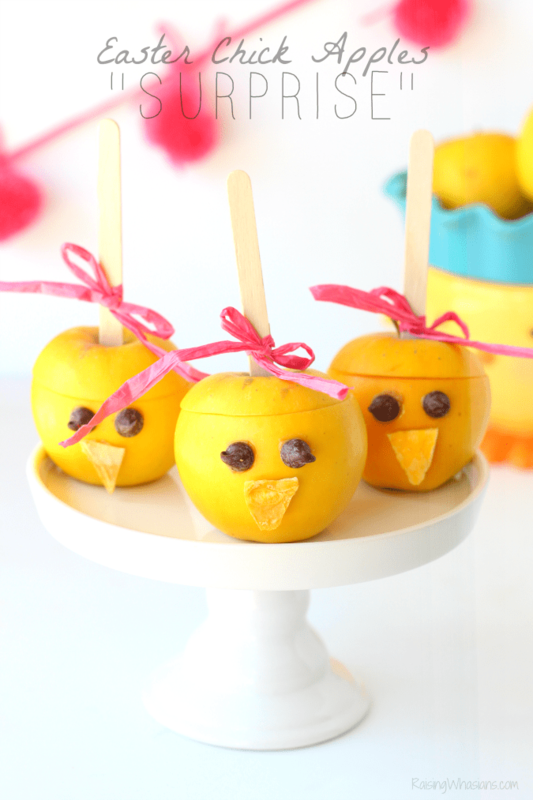 This party idea is super adorable. I never go super fancy for birthday parties. I like simple. I love the Frozen movies and this is one adorable party!! Great post!! What a cute theme for a party. The girls’ birthday is coming up. Thanks for the idea. My daughter is completely obsessed with Frozen and loved the Frozen Fever short. Everything about this party would appeal to her, especially the food. LOL. This is the cutest and fun birthday theme ever! This is perfect for any little girls! Omg everything about this party is juts fabulous!!! My dauhhter would love to have a party like this! Its all so cute and I really like what you did for the craft station Bet the kids had loads of fun. Thanks so much, party queen! This is all super adorable. And what a unique experience. 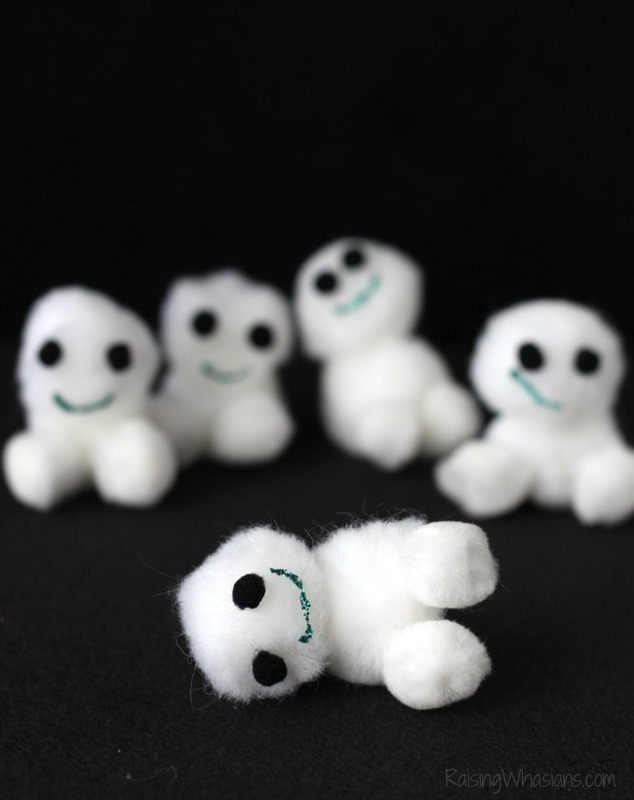 The Snowgies craft is my fave!!! Looks like she had a fantastic party! You did a wonderful job with all the details. So fun and Cute! thanks for sharing. Those cupcake liners are super cute! These are some really cute and fun ideas and would be perfect for my daughter’s birthday coming up! These are some really cute ideas. I don’t know any kids that don’t like Frozen.